This book has taken me almost 2 months to read, and it is only 140 pages! So, when I borrowed this book from my friend Sam, to read over the summer, I had no idea how hard it would be to get through. Not that it wasn't beautifully and eloquently written, but because I do not have a mind for philosophy. Sure, use a well phrased analogy, and I'll run with it, but use a well phrased analogy for over 20 pages and you will probably lose me. 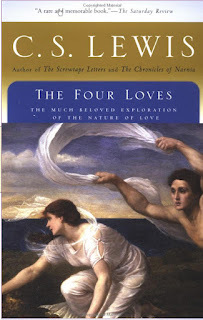 This book discusses the four types of love that there are, how they apply to us, and how they can be corrupted. 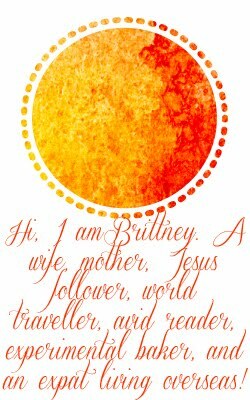 Years later, at our wedding reception, we had that quote, a favorite Bible verse, and other trivia printed on plate decoration for our guests to read and learn more about us. Gift-love longs to give her happiness, comfort, protection — if possible, wealth; Appreciative love gazes and holds its breath and is silent, rejoices that such a wonder should exist even if not for him, will not be wholly dejected by losing her, would rather have it so than never to have seen her at all."